We love our pets, but they don't always love our carpeting! When our pet urine and odor treatment contacts the source of the odor, it immediately begins a chemical reaction that destroys the bacteria associated with the urine odor. No other company is more qualified or able to handle your situation. Call our professional cleaning company. He's Your Best Friend, Not Your Carpet's! For many families, their pets are a vital part of their family unit. Just like other family members, we normally don't get rid of them when they have "accidents." And while pets can and do provide a variety of benefits within households, their "accidents" can also create challenges. 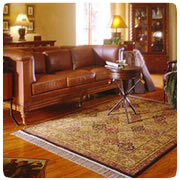 Pet urine on carpet, rugs, upholstery, or leather can do much more than cause unpleasant odor. 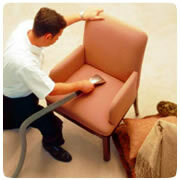 Call us for superior cleaning solutions. Proudly Serving Daytona Beach, Deland, Palm Coast, Deltona, Edgewater, Flagler Beach, Holly Hill, New Smyrna, New Smyrna Beach, Orange City, Ormond Beach, Ormond by the Sea, Ponce Inlet, Port Orange, Daytona Beach Shores, South Daytona, South Daytona Beach, & Wilbur by the Sea.